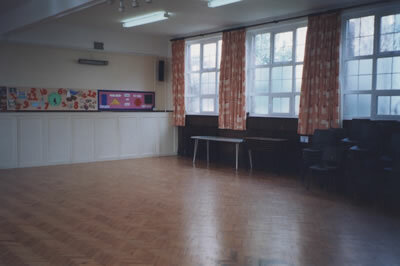 The facilities at Christchurch include a large, attractive hall and also a smaller hall called the Primary Room. 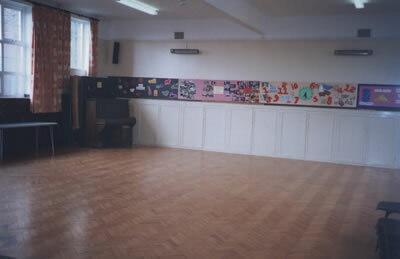 The large hall has new curtains and has recently been redecorated by members of the church. The Main Hall measures approximately eleven metres by ten metres and the Primary Room approximately five and a half metres by seven and a half metres. The premises have been adapted to provide a ramp access and wheelchair accessible toilet and a hearing loop system. Hymn books, Bibles and Service Books are available in large print. Subject to prior use for church activities, these facilities may be hired. Further details may be obtained by calling the Property Steward - see Contacts page. 21 Holliers Hill, Bexhill on Sea, East Sussex, TN40 2DH. Centenary House is adjacent to Christchurch Methodist Church, Springfield Road, Bexhill on Sea. Parking is normally available in surrounding areas. A number of meeting rooms are available for hire at Centenary House, on both the ground and first floor of the building. All rooms are light and welcoming and each measures around 200 square feet. 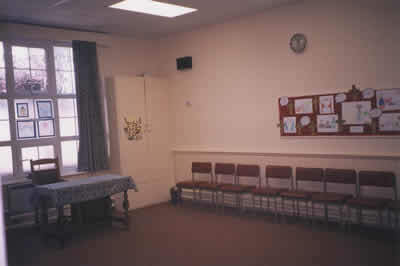 Depending on requirements and layout, each main room can accommodate up to 30 people. Chairs and tables are provided. Each room has a good number of electrical sockets. Light refreshments can be served from newly fitted kitchens on both floors. Toilet facilities are available on both floors, and there is disabled access to the front and rear of the house and throughout the ground floor, with easy access to the garden and patio area. For more information, please see Centenary House page. Further details may be obtained by calling the Property Steward - see Contacts page. The Carey Room is on the Ground Floor of Centenary House. The Gillham Room is also on the Ground Floor and has french doors leading out to the garden and patio area. The ground floor also features a large, newly fitted kitchen with fridge and hob, plus there are toilet facilities and special disabled toilet. 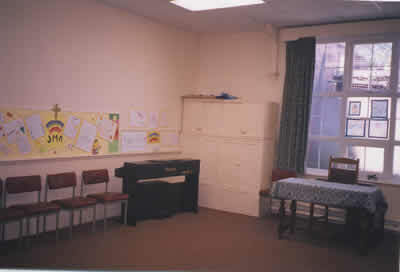 The Leslie Room is also on the First Floor of Centenary House. It has been designed for use by children and for young people's activities. The first floor kitchen is newly fitted and has a fridge and hob. Toilet and shower facilities are also available on the first floor. Note that Centenary House is not available for hire on Sundays.